Once your piece has been printed, we will give it the same attention and care in our bindery – folding it to perfection! A proper fold might not seem all that important, but it makes all the difference in the way your communication is delivered to your targeted audience. A fold, made incorrectly will result in splitting, loss of ink, and cracking to your literature piece — or a fold made carelessly, will turn even the most attractive piece into one that just doesn’t look quite right. 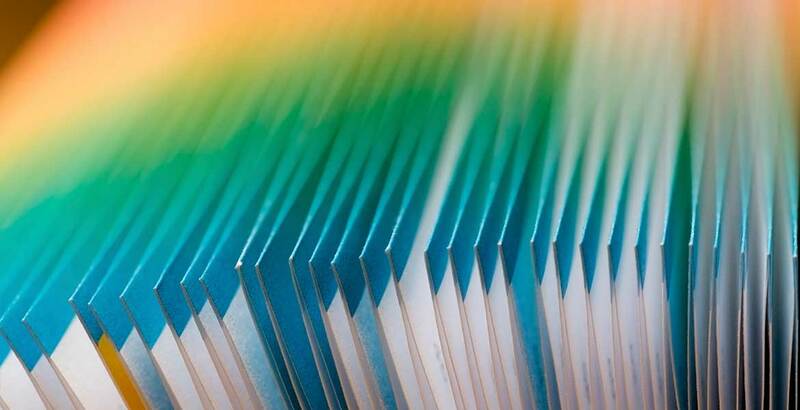 Our extensive bindery services includes the ability to execute an array of traditional folds — and our team can also easily handle even the most intricate folding requirement. So, whether you need a roll, gate, accordion, map or signature folding — or something completely different – RotoGraphic Printing can make sure your piece is beautifully finished. For additional information about folding options and capabilities, please contact us. We’re always happy to supply an estimate for your project.